A classic golf tour for everyone to enjoy! Spend 4 nights at ‘The Home of Golf’, St Andrews at the 4 star Rusacks Hotel just a stone throw away from the famous Old Course, followed by 3 nights on the idyllic west coast at the Piersland Country House Hotel, opposite Royal Troon Golf Club. 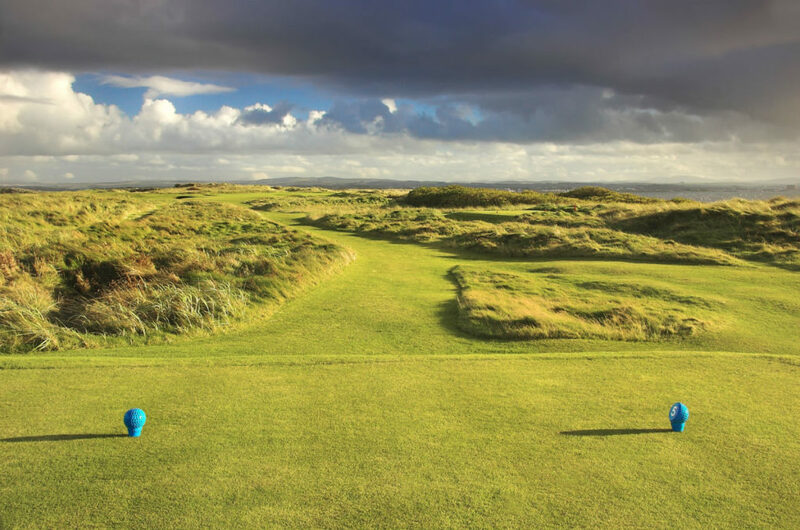 During your stay, you will play 6 of the top golf courses on every golfer’s bucket list including Kingsbarns, Carnoustie and Ailsa, Trump Turnberry. Arrive Edinburgh or Glasgow Airport, meet and greet by representative of Fairways Scotland and collect your rental vehicle. Travel to St Andrews, check into your hotel and head out for your first round of golf. A coaching session with PGA Pro, Peter Mitchell will also be arranged for this afternoon. This afternoon we recommend a visit to The Kingsbarns Distillery & Visitor Centre. This afternoon we recommend a visit to The British Golf Museum. This morning check out of your hotel and travel to the west coast of Scotland. Check into your hotel at Troon and head out for golf arranged this afternoon. If time allows this afternoon you may wish to visit the beautiful Culzean Castle & Gardens.